Distinguish a normal, healthy thyroid from one affted by various diseases with this model set. Hashimoto’s Thyroiditis (lymphocytic thyroiditis), Graves’ Disease, and Papillary Carcinoma are each shown on separate models that highlight the unique effects of these conditions on the thyroid. 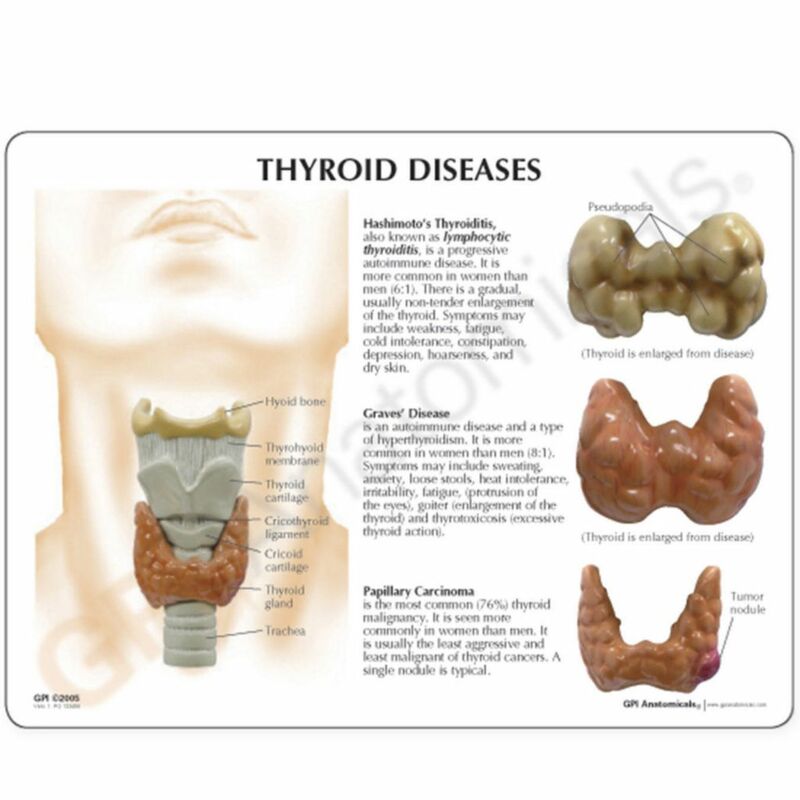 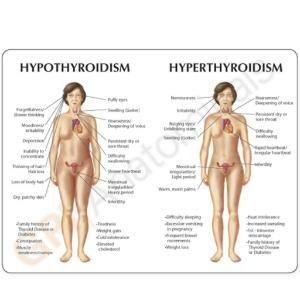 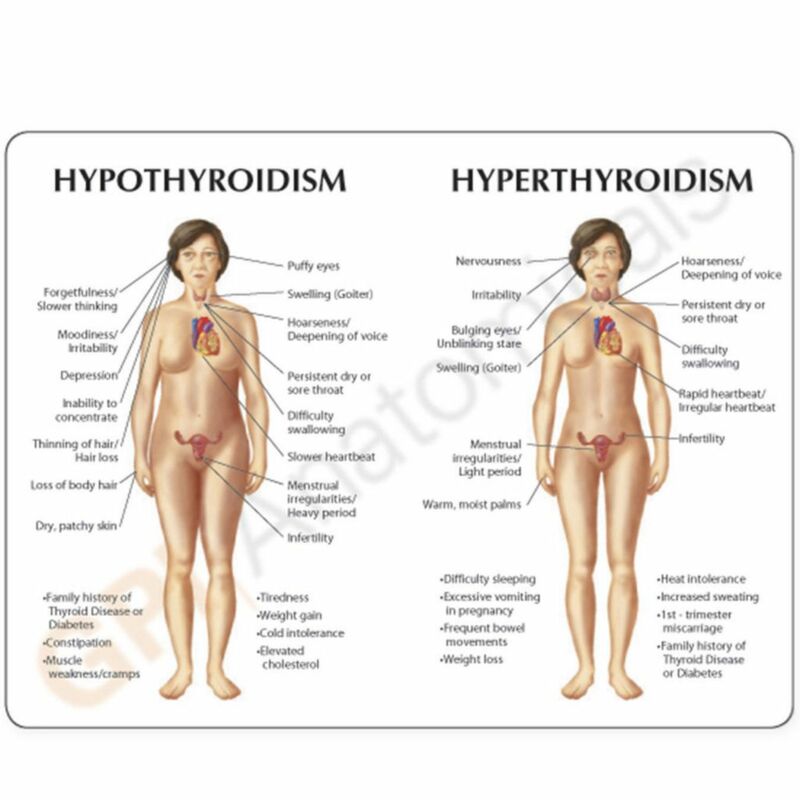 These models can be compared to the Normal Thyroid, also included. 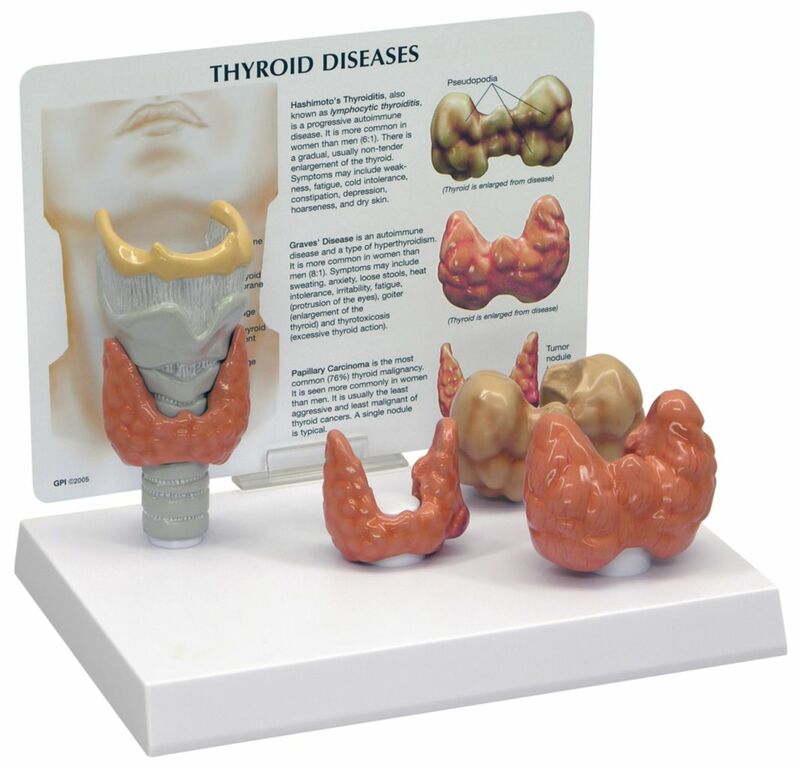 Each of the four models reveal the hyoid bone, thyroid membrane, thyroid cartilage, cricoid cartilage, and trachea.